Tradeweb completes first inflation swap on European interest rate swaps platform. The first cleared inflation swap has been executed on Tradeweb’s European interest rate swaps platform, as trading of OTC derivatives continues to shift on to electronic venues with the onset of MiFID II fast approaching. The trade was executed by Legal & General Investment Management (LGIM) through Tradeweb’s request for quote (RFQ) system, and cleared by LCH. 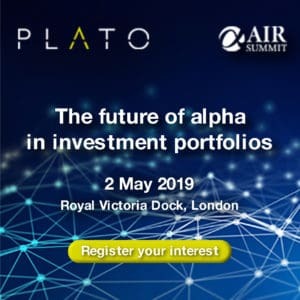 “The STP benefits of electronic execution coupled with the improved price discovery achieved via the RFQ model satisfy the industry’s increasing need to streamline trading desk procedures, while simultaneously enabling buy-side firms to demonstrate best execution,” said Philip Hunter, head of rate trading, LGIM. New rules on trading OTC derivatives on electronic trading platforms are set to hit Europe in January 2018 with MiFID II, in a bid to enhance transparency into markets that were traditionally conducted over the phone. “By executing on our platform, clients can also rest assured that their pre- and post-trade transparency obligations under MiFID II are taken care of, thus avoiding unnecessary costs and implementation burdens,” added Enrico Bruni, head of Europe and Asia, Tradeweb. 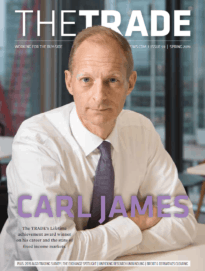 The first move by the UK asset manager bucks predictions from Europe’s main trading venues, including Tradeweb, that MiFID II will drive business off of electronic venues.